The very beginning of the fall season is my inspiration for creating this cocktail. The weather isn’t quite cold yet, but you can start to see subtle changes, like the first turned leaf. It’s the beginning of a beautiful season. I chose a North Carolina Rye that happens to be named perfectly for this occasion—Turning Point Rye is incredibly suited to pair with the intensely silky flavor of Bärenjäger, and parallels the subtle, yet distinct change in the season. Preparation: Muddle one small piece of orange in a shaker tin. 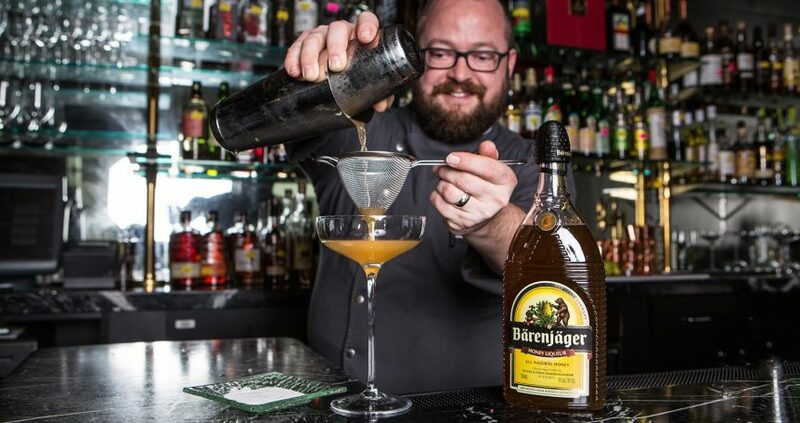 Add ice to the shaker then combine 2 ounces of Turning Point Rye and 1 ounce of your newly infused Bärenjäger. Shake and then double strain into a coupe glass. Garnish with a brûléed apple coin and balance it on a Linzer cookie on the edge of the glass. First infuse the Bärenjäger with your favorite seasonal tea. I chose a chai green tea that reflects the subtle change in weather at the beginning of fall. To infuse an entire bottle of Bärenjäger, I use a whole box of chai green tea (about 16 tea bags.) First bloom the teabags by steeping the tea in boiling water for about 10 seconds. Transfer the tea bags into a container that holds the entire bottle of Bärenjäger. You can let this infuse for up to 30 minutes, occasionally tasting for desired intensity of flavor. If the infusion begins to turn bitter, the intensity of the flavor has topped out, so remove the tea from the Bärenjäger. Squeeze the tea bags to get all excess liquid from them. Pour the newly infused Bärenjäger back into the bottle for ease and convenience. 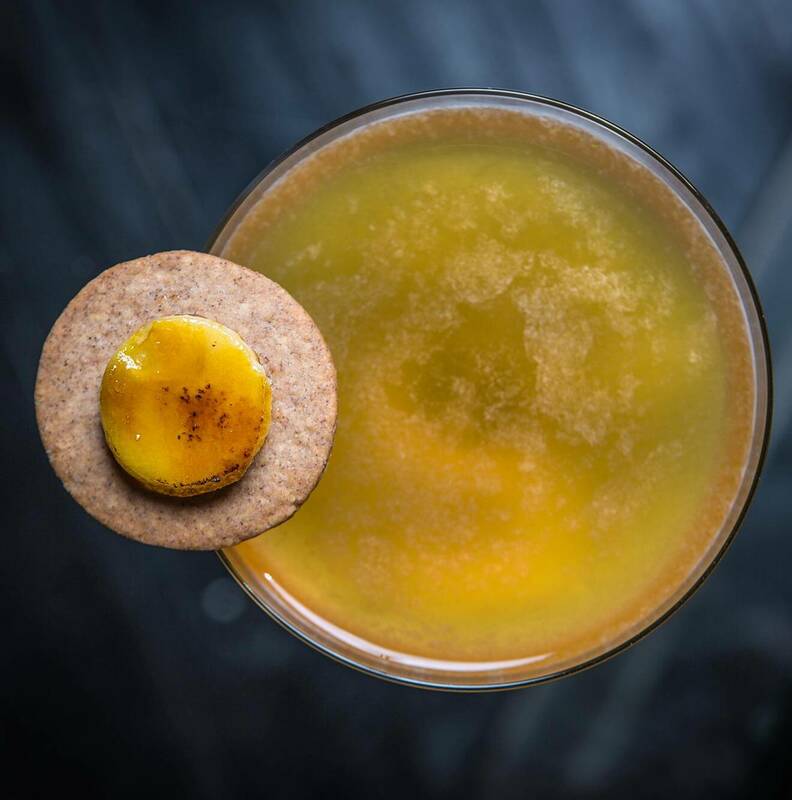 Bob Peters is a Charlotte native which makes him as rare and as special as the libations you’ll find behind his bar. With strong southern roots, Bob has always enjoyed the art of dining and taking care of friends. He is known for his creative palate as well as for his ability to entertain. 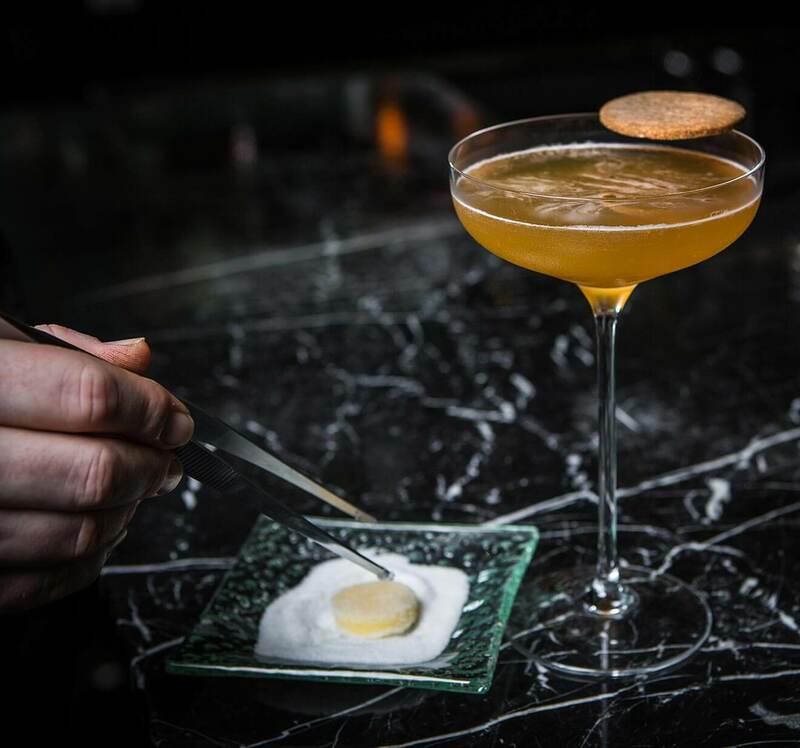 Peters has won numerous awards including the 2015 Global Bartender of the Year for The Ritz-Carlton Corporation. He has been featured in an international culinary magazine as well as countless local and regional publications. In Spring 2016, he accompanied a group of elite chefs from Charlotte, NC to the James Beard House in New York City to present a “Taste of Charlotte” dinner to the Big Apple’s food fanatics. 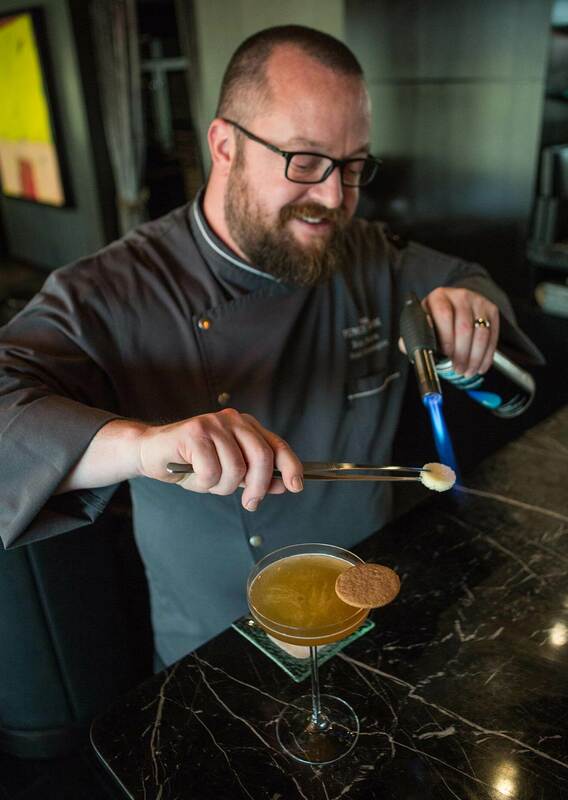 Most recently in January 2017, Bob was a featured mixologist at the highly acclaimed Cayman Cookout food festival hosted by Eric Ripert, Jose Andres, and Anthony Bourdain, as well as the featured talent at the Charleston Wine & Food, and the Atlanta Food & Wine Festivals. When you join Bob for a cocktail, be prepared to linger and let go of the reins. In no time, you’ll be carried away on a journey sure to delight the senses. Check him out at The Punch Room in The Ritz-Carlton, Charlotte (NC). You will be captivated by what you find and heʼll have the hootch ready.